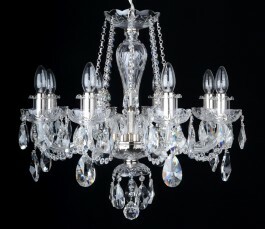 The 3-Arms Crystal chandelier with smooth glass arms and cut almonds, Silver nickel coated brass, metal covering tubes decorated with the glass miniskirts. 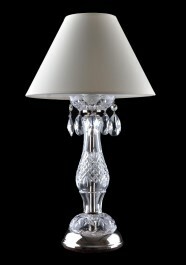 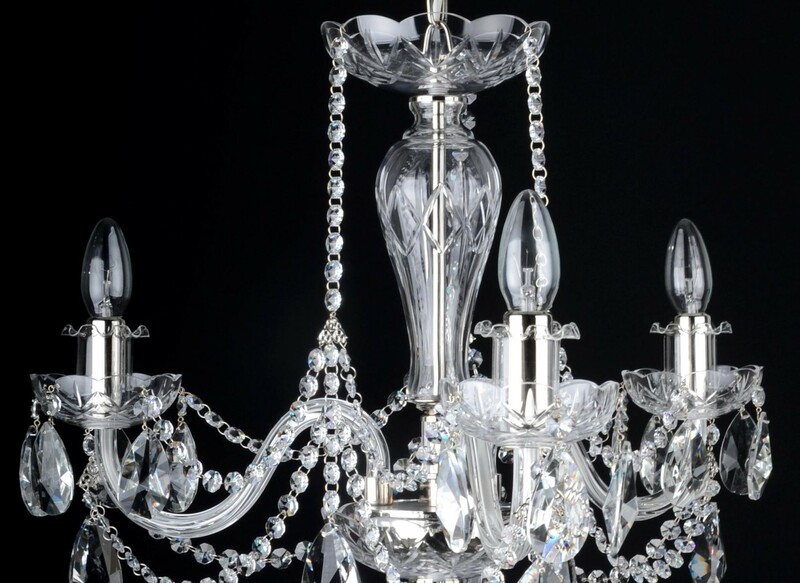 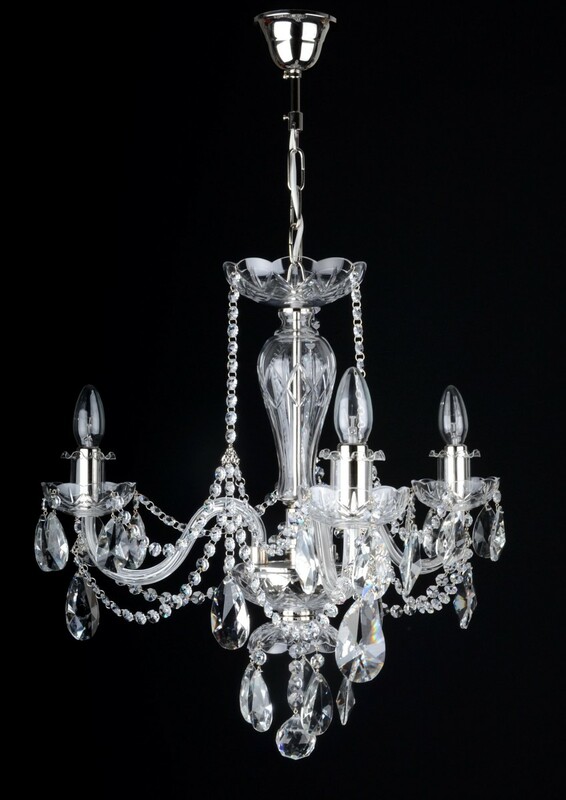 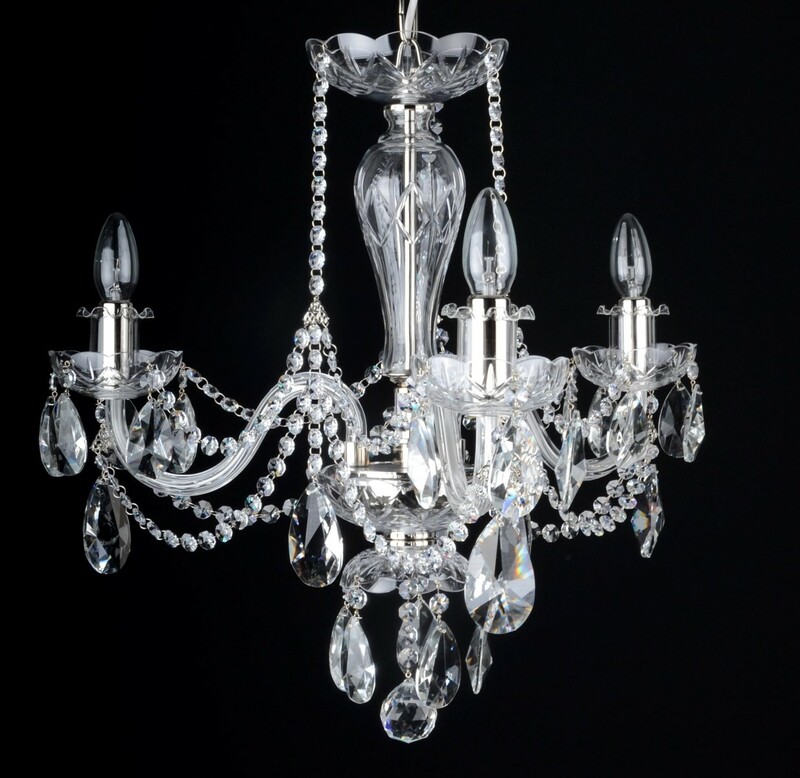 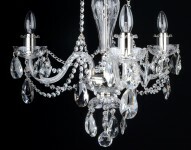 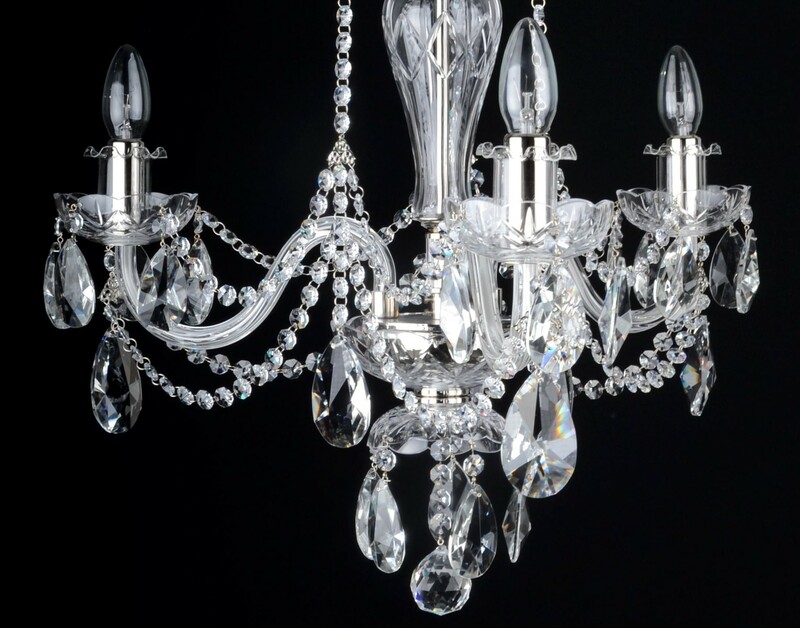 The traditional Czech crystal chandelier made of quality hand blown and completely hand crystal leaded crystal glass. 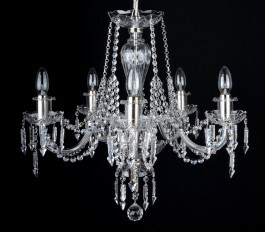 Dimensions (W x H): 59 x 52 cm/ 23.2"x20.5" (measured without chain). 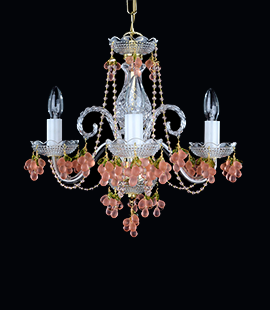 The chandelier can be with counts of arms : 3,5,8,(8+4 two tiers).